We are Movement Church, a church based in the heart of San Diego. Our aim is to build an authentic and powerful atmosphere, centered around Christ's Great Commission. We strive to create a community that will impact the city and influence the nations towards Jesus. 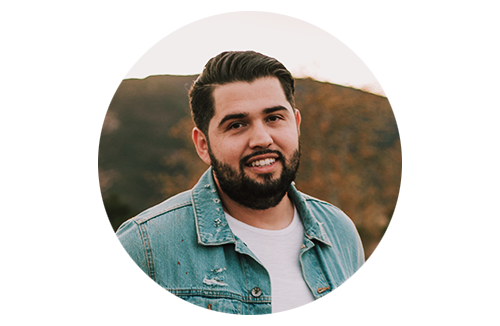 Raul was born in Los Angeles, CA, but at the age of 3 moved to Tijuana, Mexico with his parents and three other siblings to plant a church. He lived their 25 years serving, pioneering, and pastoring alongside his parents. Raul always had a passion for the business world so after high school he went to law school and got his law degree in Mexico. After working in law and being a successful business man, God revealed to Raul that He wanted to do a greater thing. Raul took on the youth ministry after completing bible college and discovered a heart for the next generation. After getting married, Raul and Selina moved to San Diego and immediately had a passion for the city, the people, and making Jesus's name known. Selina grew up in Orange County, CA with her sister and her single mom. She grew up with a passion for sports, beauty, and fashion. Selina went to church as a child, but as she got older drifted away and wanted to do her own thing. After high school Jesus swept Selina off of her feet and she was never the same. She had finally found the meaning of true Love. Selina got involved in her church immediately and had her own ministries and had a passion for His church. Since then, she's participated in several ministries, specially those geared toward women. She has a passion for preaching God's word and using her own personal testimony to help like-minded women turn to Christ. manifests these gifts as he chooses amongst the church. and that the church is the salt and light of the world. works or merely “being religious’ will not save you. We believe in a literal hell and a literal heaven. Here you can sign up for our new class called DNA. The class starts January 30th and will go for 4 weeks. It will be held at 8pm at Pastor Raul's home, see him for directions. Look forward to seeing you there! New to Movement Church or have questions? Fill out the form below and someone will get back to you shortly! Looking to get baptized? Sign up below!